While Apple may have made a mountain of money by putting a bunch of electronics inside brushed aluminum cases, a design student from the UK is wondering if his bamboo-based idea will yield a similar bounty. 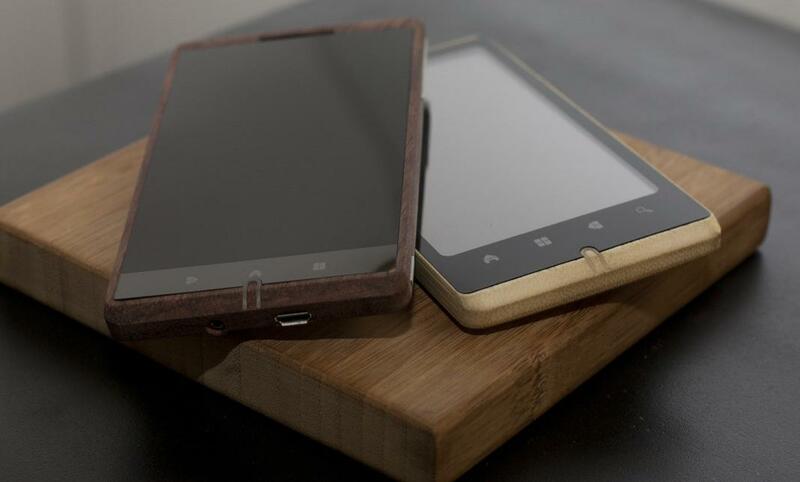 Frustrated by the lack of designs in the smartphone market, Middlesex University student Kieron-Scott Woodhouse recently came up with his own concept—a unibody smartphone with its casing carved from a single block of bamboo. He put his ideas up on the Web and to his astonishment was contacted by a technology entrepreneur who wanted to make his phone a reality. Progress with the 23-year-old’s smartphone design has been rapid, with the pair already having set up a company and joined forces with a hardware engineer to help build the device. Called the ADzero, its casing incorporates organically grown bamboo which has been specially treated to improve its durability. “Bamboo may seem like a strange material to use for a phone,” Woodhouse said, “but it’s actually extremely strong and very durable, perfect qualities for this kind of application.” The fact that it’s a fast-growing, sustainable and abundant material also appeals to Woodhouse. A stand-out feature of the ADzero is its ring flash circling the lens. Such a flash is not seen on current smartphones, though it’s known to markedly improve pictures taken in low light, offering even illumination and eliminating unwanted shadows. Not too much is known about the ADzero’s tech specs at the present time, though Woodhouse says it will be half the weight of Apple’s iPhone, have a larger screen as well, and be powered by the Android operating system. The unique phone was initially set for launch in the Chinese market later this year, but was so well received at a recent design show in London that the decision has been made to release it first in the UK, with a plan to get design-aware retailers involved. Now, with a phone like the ADzero in your hand, you’d surely want a decent case to protect that gorgeous wood….so how about that nice looking brushed aluminum one over there? 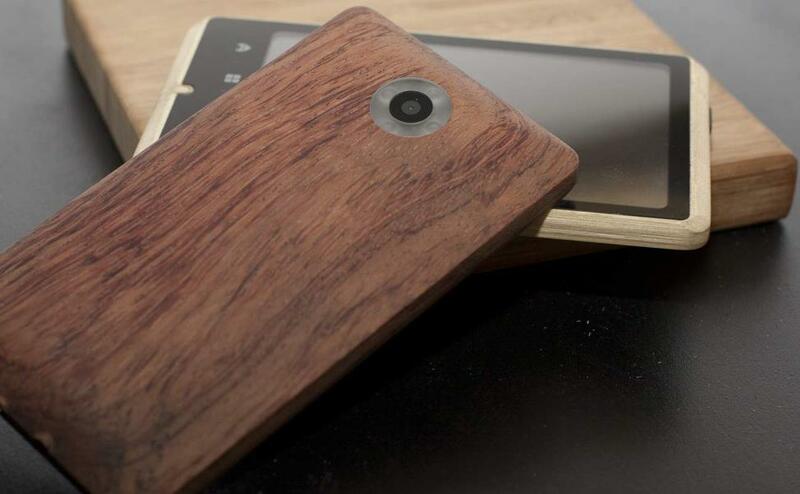 Oh, wait, hang on a minute…..
Below: Woodhouse talks about his bamboo phone.